I am loving these deals. 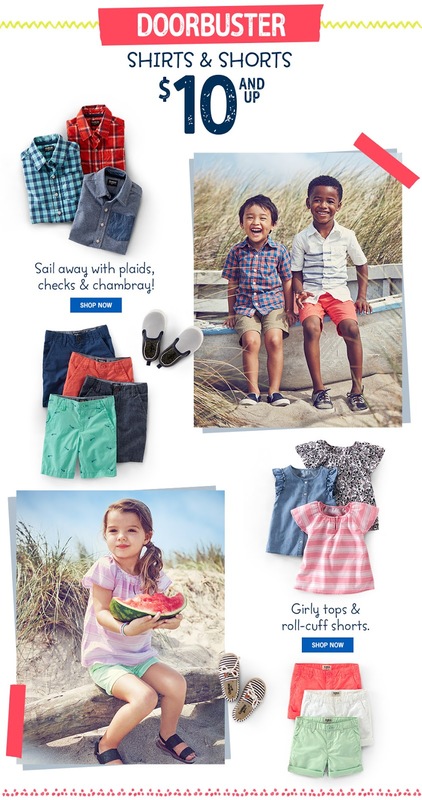 Starting today, Carter's & OshKosh are offering a Break for Spring Sale with up to 50% Off, plus Free Shipping! Plus earn $10 Rewarding Moments for every $75 your spend. Head over and browse around HERE for your favorites! I'm loving the girls ruffle shirts and shorts!